1 of 5 people will endure a catastrophic injury or illness and lose their income for at least 1 year. Part of the unique advantage offered by Simon Law Group includes expert personal injury attorneys who genuinely care about your case, who are known for taking cases to trial. Insurance companies know the difference between an attorney who wants to settle immediately to avoid confrontation, versus an attorney who wants "Trial Now, Questions Later." Our PI lawyers resolve injury, medical malpractice, defective product, and wrongful death matters as quickly and efficiently as possible (so that you're not waiting five or ten years for an outcome). Recently, we've been made aware of regional or nationwide law firms who claim to win "hundreds of millions" or even billions of dollars, yet lose touch with their clients altogether, fail to return phone calls, and years later, send a notice in the mail that their clients' cases were "dropped." Simon Law Group, however, refuses this practice. Simon Law Group aggressively and routinely battles other companies, adversarial attorneys, and insurance carriers to ensure just outcomes with optimal results for our clients. Our team of experienced litigators are known across the region for commanding presence, and with 170 years combined experience, our attorneys have ascertained some of the most-promising outcomes in recent years. For client confidentiality, we do not disclose monetary compensation damages to the public. So what qualifies as a personal injury claim? Car, Bus, and Truck Accidents where there are injuries, medical malpractice (where surgeries have gone wrong or involve misdiagnosis), traumatic injuries, broken bones, brain injuries, dog bites, wrongful death, slip and fall, accidents operating heavy equipment, etc. Continue to read below for major injury categories, or see the column on your right. Both public and private property owners have the responsibility to maintain a safe and clean environment for visitors, customers, and employees. If hazards are present that pose a risk of injury to visitors, the owners and proprietors are responsible for knowing about them and making visitors aware of them to avoid injury. 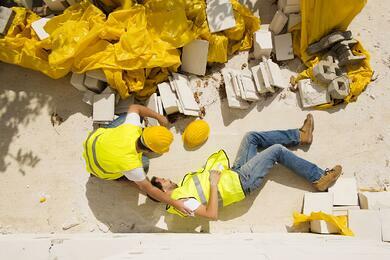 When property owners are negligent, serious accidents like slip and falls can occur. New Jersey premises liability law holds them responsible for the costs of recovery, lost wages, and pain and suffering involved in the injuries. Nationally, drivers are more distracted than ever. Whether its cell phones, texting, fast food, non-alcoholic beverages, or noisy children in the back the roads are more dangerous than ever. We see it on the news every day; accidents cause serious injuries and sometimes death. People get hurt due to the reckless driving of others. If you’ve been hurt in an auto accident, Simon Law Group is there to help. As with other types of personal injury, you are up against expansive insurance companies with a wealth of resources at their disposal. They overwhelm the victim and discourage the validity of their claims. Many people will give up. With Simon Law Group, we do not throw in the towel; we work tirelessly with diligence and swiftness to get you the proper compensation you are entitled to. Doctors treat our ailments and help us stay healthy. We trust them to perform their jobs in a manner consistent to their education and training. We often rely on doctors, nurses, and other professionals to make important decisions regarding our health and well-being. When a health care professional causes personal injury in the course of diagnosis or treatment, medical malpractice has occurred. These errors are far more common than you may realize. However, just because the doctor causes an injury, doesn’t mean you automatically win the case. You’ll want an experienced Medical Malpractice attorney on your side, as healthcare professionals are backed by large, powerful insurance companies unwilling to assist you. Call Simon Law Group and we’ll dedicate one of our attorneys experienced in medical malpractice to the case. We’ll review your options and pursue the best possible course of action, ensuring the greatest chance at success. Workers’ compensation is legislation enacted to ensure that when an employee is injured on the job, they will receive medical coverage and financial support. NJ Workers’ Compensation benefits were created to help those who are injured on the job to have access to medical treatment as well as a payment structure based on permanency of the injury. Injured workers are unaware of benefits and can miss out on receiving some or all of the benefits available to them. It is important if you were injured on the job that you have an experienced workers' compensation lawyer to review your claim and to see that you are recovering maximum compensation and treatment. Most importantly, Simon Law Group will not seek or accept any fees for its services in connection with your application for disability benefits. When you win your claim, Social Security issues payment directly to the firm. There is NO COST TO YOU. Call our office to discuss your case today and receive a risk-free, no-cost consultation with one of our qualified Workers’ Compensation Attorneys. If a permanent injury award is given, Medicare can and will hold the injured worker liable to reimburse Medicare for those payments. If you have received Medicare benefits it is extremely important that you speak with a New Jersey Workers' Compensation Lawyer and inform them. Simon Law Group’s attorneys are dedicated to Workers’ Compensation, and we have the knowledge to assist and support you, and will ensure that minimal workers’ compensation benefits are used to reimburse Medicare for medical treatments. 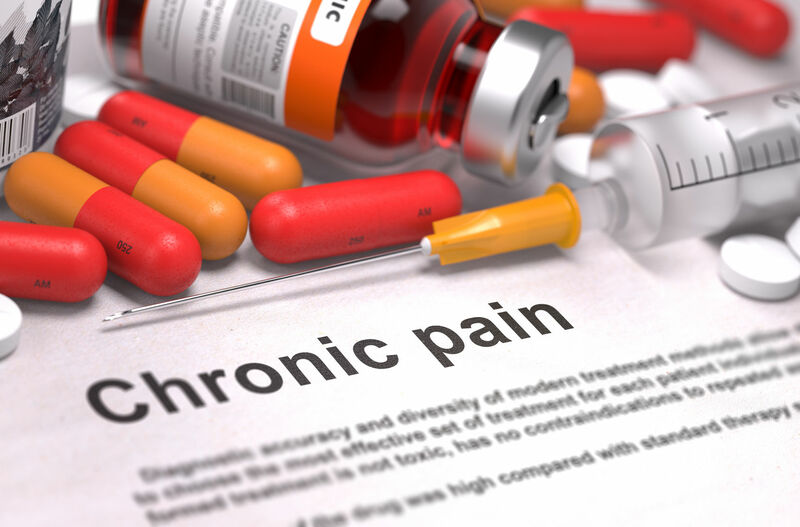 An underfunded and financially strapped program like Medicare will sometimes seek reimbursement for as much treatment as possible, potentially even reaching into unrelated treatment. Ensure your benefits are protected. He or she has worked long enough, and recently enough, to qualify for benefits. In addition, other factors may be relevant, including the claimant’s age, past work experience, and education. Even if you have been denied before, Simon Law Group’s qualified attorneys can help you navigate the complicated Social Security system. As of 2014, roughly 65% of initial applicants are denied benefits. It is crucial to have a qualified attorney representing your case before the Social Security Administration, as success is often found after several appeals. At Simon Law Group, our attorneys can help you navigate and expedite the application process and will vigorously pursue your claim on appeal, if necessary. We will ensure you meet all filing deadlines and that your medical documentation is complete and swiftly provided to the Social Security Administration. While each claimant’s case is different, Simon Law Group’s qualified attorneys will answer your questions and concerns. We know that claimants are at a vulnerable stage in their lives, and we will treat your matter with the utmost care and compassion. We can help you get the money you deserve and the peace of mind that comes with it. Most importantly, Simon Law Group will not seek or accept any fees for its services in connection with your application for disability benefits. When you win your claim, Social Security issues payment directly to the firm. There is NO COST TO YOU. Call our office to discuss your case today and receive a risk-free, no-cost consultation with one of our qualified Social Security Attorneys. Simon Law Group is the top personal injury firm dedicated to representing those who've had the odds stacked against them. We've stood by those who society, the media, corporations, employers, and government institutions have looked down upon, and we've turned their lives around. Part of the reason our Personal Injury practice area is so strong is because we're not a "mill." We're not a mega-national law firm dedicated to the sole practice of profits. We're Simon Law Group, and we're dedicated to the cause of our clients, not just revenue. Our clients' stories, their situations and circumstances - they all factor into the work we do each and every day. We've never been the sort of firm that examines a case and determines that it won't produce enough profit to handle it. Conversely, we've never examined an excessively strong case and been disuaded by the idea or the reality of facing large multi-national corporations and massive insurance companies. Personal Injury lawyers get a bad reputation sometimes, and they're commonly referred to as "ambulance chasers." Yet we can assure you, this we are not. What gets us through each day is knowing that clients are placing their trust in us to restore and repair their lives or the lives of a loved one. Facing large or 'intimidating' companies isn't even a factor in our minds, because we know what we've got to do, and that's to fight. We're always prepared to fight for our clients' cause, and no case is ever too small or too complex. When we win a case, we leave the court or the settlement conference with the cautious acknowledgment that we've been able to repair our clients' lives or mend them in some way. Representing the individual, when others won't or can't, and advocating to the courts on their behalf when the odds are against them - that's what we do, and we take pride in doing it each and every day. We strongly encourage you to contact our Personal Injury lawyers to evaluate your case at no cost to you. 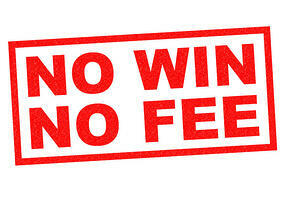 As always, there's never a fee to you unless we win. Have you or a loved one been a victim of any of the following?